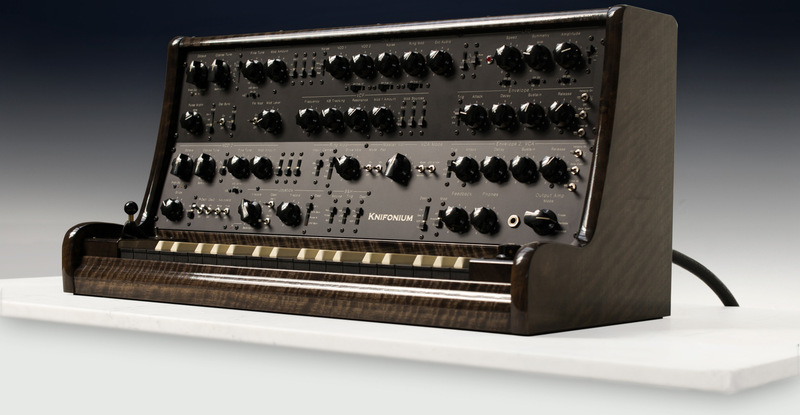 Knifonium is a 26 tube monophonic synthesizer with two oscillators, a 4th order ladder filter and a ring modulator. Third batch is now sold out. More production in 1-2 years. 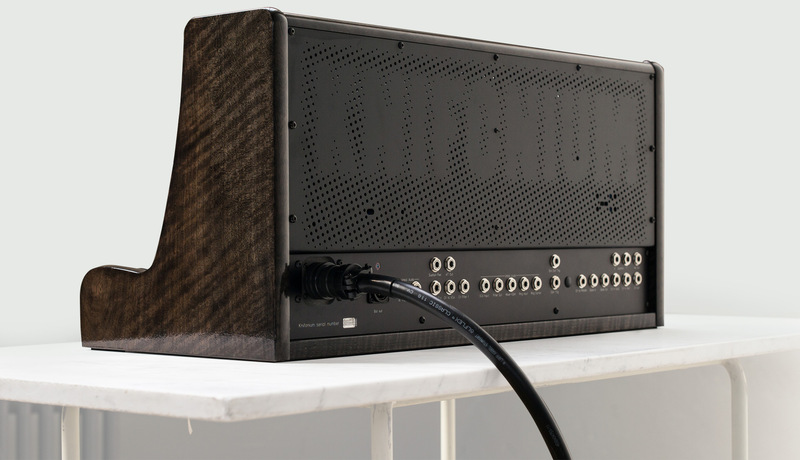 Knifonium is a very carefully designed synth for many purposes, small and light enough to take to gigs despite of the amount of electronics and traditional craftsmanship and adequately sized controllers. Built to the highest instrument making standards Knifonium is a joy to operate and listen to. It is my dream, it is my tour de force, it is an object that brings together many aspects of my professional past in (early) music, instrument making and as tube equipment manufacturer. It sounds like nothing else. For Knifonium sales inquiries in the US and Canada please contact GSF Agency. USA / Canada Knifonium purchase price is 15999$, which includes shipping but does not include customs and duty fee.